The U.S. EPA and Taiwan’s EPAT jointly convened “The Sixth Asia Pacific Mercury Monitoring Network Meeting” and the “2017 Atmospheric Mercury Monitoring Training Workshop” at National Central University in Taoyuan, Taiwan from May 15-19, 2017. Participants included environmental officials and academics from 10 nations ranging from Canada to Thailand and Indonesia. 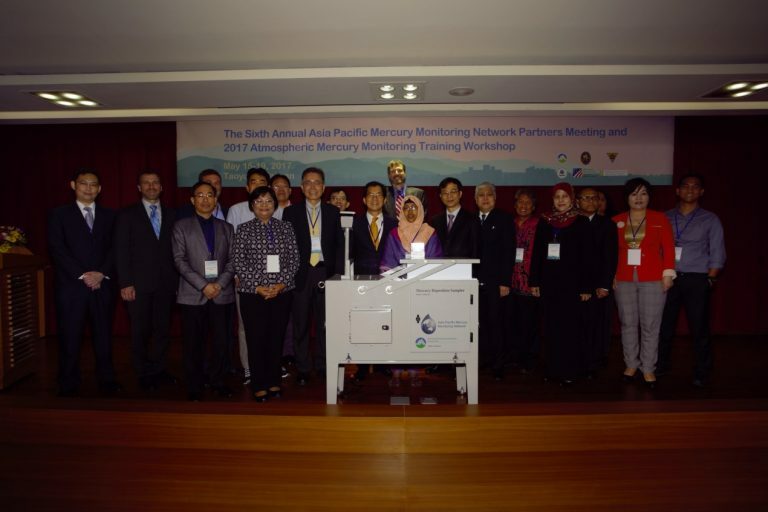 The opening ceremony was co-hosted by EPAT Minister Lee Ying-yuan and EPA OITA Chief-of-staff Martin Dieu, where Taiwan presented the Philippines and Vietnam each with “Mercury Wet Deposition Sampler”, a move aimed at deepening mercury-monitoring cooperation between Taiwan and Southeast Asian nations.